Now with more than 15 years of experience in all facets of patent law, and as advocate for innovators nationally, Mr. Ream has built valuable relationships for assisting inventors with engineering, prototyping, domestic and international manufacturing, and commercialization. For inventors who are willing to follow up their "better mousetrap" with development and commercialization, Dale’s advice and contacts are extremely valuable and successful. At the Ream Law Firm, we have found that an inventor can make his or her own success with the right balance of legal protection, non-legal guidance and old-fashioned hard work. And yet Ream Law is so much more than that — and Dale Ream is so much more than the "typical" patent attorney. The quality legal services he extends to you are threefold: patent support for new inventions; prototyping, product development and engineering of inventions; and commercialization and marketing of inventions. 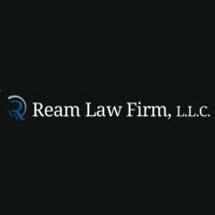 How can the Ream Law Firm accomplish so much? Dale Ream has become a recognized authority on the product development phase of the patent process, including product design engineering, prototyping, patenting, licensing and direct manufacturing. Ream Law not only counsels you on all aspects of intellectual property matters, but also how intellectual property relates to everything else that can make your invention a reality. From our convenient central location in Ottawa, Kansas, attorney Dale Ream of the Ream Law Firm can meet with you at our law office or your home or business, anywhere in the country. You can trust our experience and expertise to promote your entrepreneurial goals. Call 785-214-4137 for a free initial consultation or go online to e-mail us. Patent attorney Dale Ream and the Ream Law Firm, L.L.C., help inventors determine the appropriate patent for inventions, and are experienced in all types. For a free consultation, call 785-214-4137. Our experienced Ream Law Firm, L.L.C., attorney utilizes cutting edge technology to furnish national clients with accurate and timely services for inventors. Call us in Kansas at 785-214-4137. Ottawa lawyer Dale Ream is so much more than a patent attorney. For solid advice on engineering for your invention, call the Ream Law Firm, L.L.C. 785-214-4137. The Ream Law Firm, L.L.C., in Kansas serves inventors nationwide on intellectual property basics such as patents, trademarks and copyrights. Call our lawyer today at 785-214-4137. Our Ream Law Firm, L.L.C., attorney in Kansas assists patent owners in the licensing of their marketable idea. For a free consultation with our nationwide patent law practice: 785-214-4137.